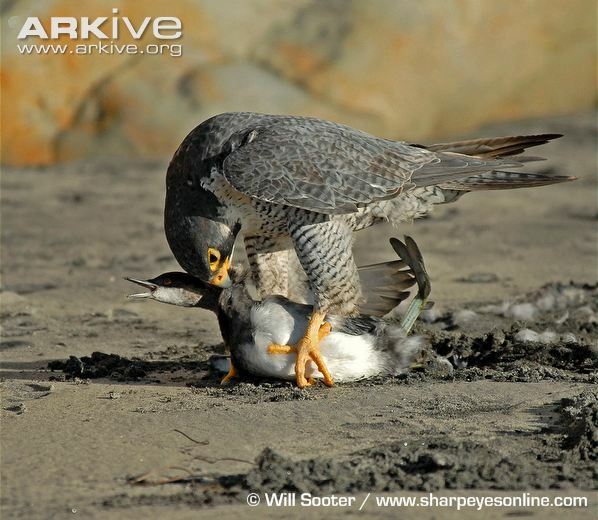 Raptors use a wide variety of killing strategies, including a few rather grisly ones. Some raptors use their talons to attack with high-speed killing blows, while others suffocate their prey to death in a constricting grip. Some give their victims the merciful death of a broken neck, but others eat their victims alive after slashing them open. 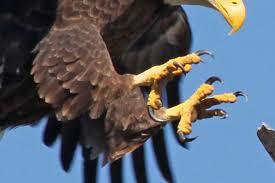 All raptors use their talons in a similar way when tackling small prey; their feet imprison the victim, with talons deployed as a cage rather than as weapons. 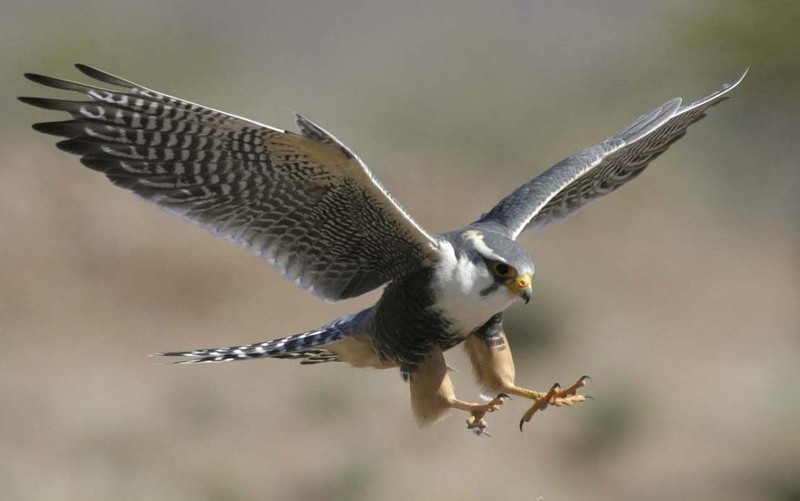 Falcons then use a notched ridge on their upper beak to sever the spine or crush the head, while owls sometimes break their prey’s neck with a swift twist. Accipitrids (eagles, hawks, kites, harriers, and the like) have weaker bites than falcons so they use their feet to constrict their prey, cutting off the air supply much like pythons use their coils. Because owls tend to ambush their prey on the ground, their chances of landing a killing blow are slimmer. Their feet have evolved to better restrain struggling prey. Their toes are shorter and stronger than those of other raptors. 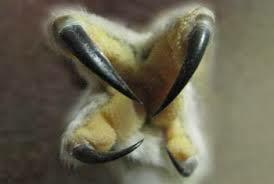 One toe can swivel backward to join another so the owl can grip with two pairs of opposing talons. That makes them powerful constrictors, capable of crushing small animals in a suffocating “fist.” It also means they specialize in smaller victims, rarely tackling the larger prey that falcons and eagles hunt. The osprey differs in several respects from other diurnal birds of prey. 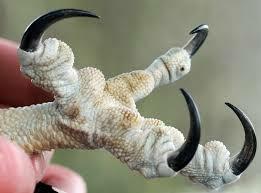 Its toes are of equal length, its talons are rounded, rather than grooved. 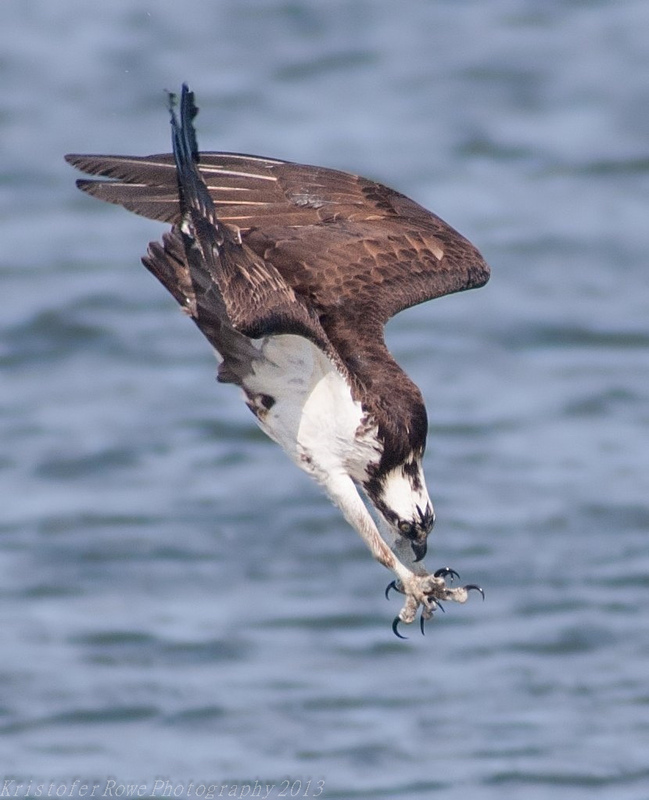 The osprey and owls are the only raptors whose outer toe is reversible, allowing them to grasp their prey with two toes in front and two behind. This is particularly helpful when they grab slippery fish. 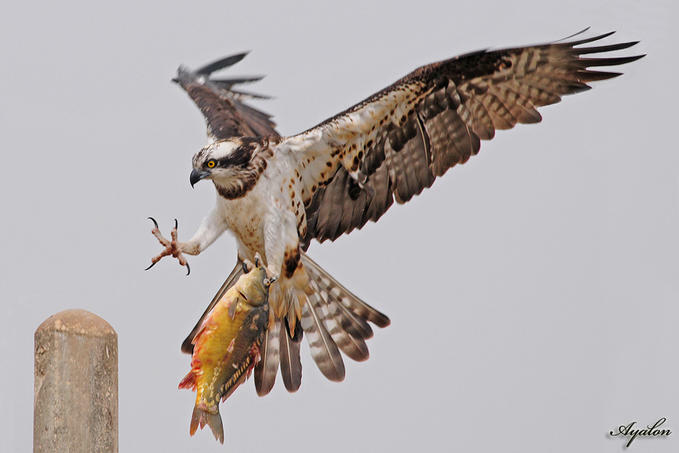 You do not want to be the fish this osprey has spotted.